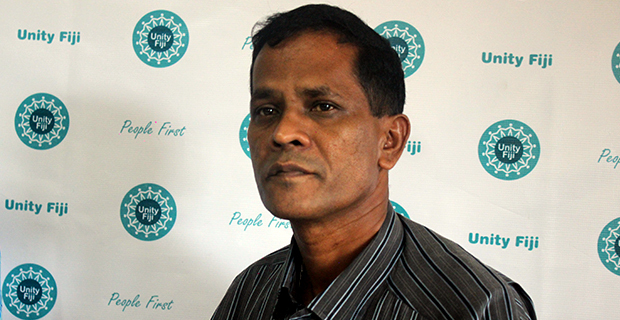 An election petition case filed by Unity Fiji Party’s Satish Kumar was called before Justice Anjala Wati and Justice Kamal Kumar. The petition has been filed against FijiFirst parliamentarians, Salik Govind and Alexander O’Connor and the Supervisor of Elections. Lawyer, Jolame Uludole represented Satish Kumar while Solicitor General, Sharvada Sharma was in court representing the Supervisor of Elections. Devanesh Sharma was in court on the instructions of the FijiFirst General Secretary, Aiyaz Sayed-Khaiyum. Uludole told the court that they had difficulty servicing a respondent as they have to go all the way to Sigatoka. He took an undertaking to service the petition before the end of today. Justice Anjala Wati then told Uludole that his affidavit is general and does not address whether the respondents have been personally served. Uludole then told the court that the petition was prepared by Satish Kumar and he has just been confirmed as the counsel. Justice Anjala Wati and Justice Kamal Kumar have ruled that Salik Govind and Alexander O’Connor have to be served by 4pm today. The matter has been adjourned to 12.30pm tomorrow.